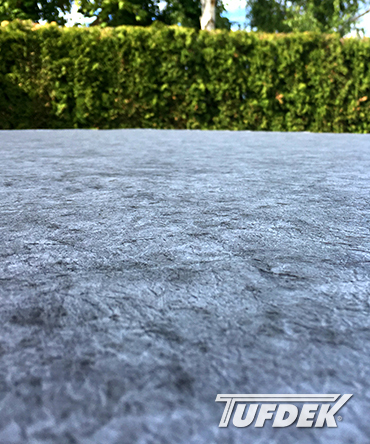 Elegant yet durable, Supreme Slate Grey vinyl waterproof decking by Tufdek™ offers a clean finished look for your patio, deck, or pool surround. This slate grey vinyl deck covering is an excellent complement to warmer and neutral shades of stucco and siding, as well as wood and brick – or it can be used to contrast against cooler home shades. Nearly any shade of foliage or accessory looks great on this waterproof vinyl deck flooring surface, from neutral browns to bright greens and reds, or vibrant oranges. For pool surrounds, Supreme Slate Grey vinyl flooring for decks is an excellent choice as it lends an air of sophistication and a slight contrast against the cool blue of the water, to help your pool area attract attention. The lightly mottled pattern of Supreme Slate Grey vinyl adds interest, while simultaneously offering a low-maintenance alternative to concrete. Consider Supreme Slate Grey vinyl decking for your next deck project and discover the benefits of this high-quality, affordable, waterproof vinyl decking. 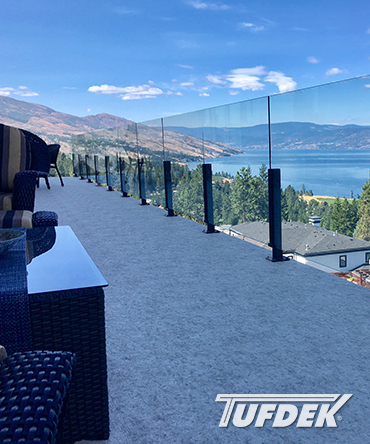 For more information about Tufdek Supreme Slate Grey waterproof vinyl decking by Tuff Industries, please call us toll free at1-877-860-9333 or send us an email. 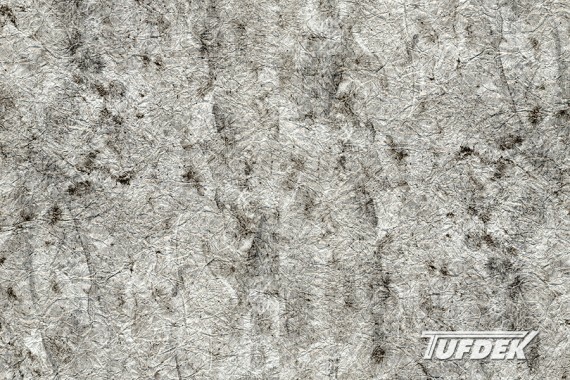 Tufdek™ Supreme Slate Grey Vinyl Flooring is only available through “Authorized Dealers”. 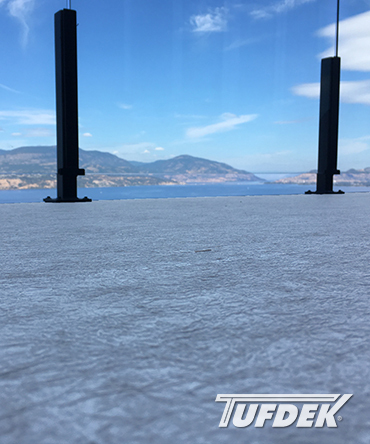 Tufdek™ Supreme Slate Grey Vinyl Flooring is assembled by one of North America’s leading PVC roof membrane manufacturers and quality audited by Intertek, an independent third party testing facility.